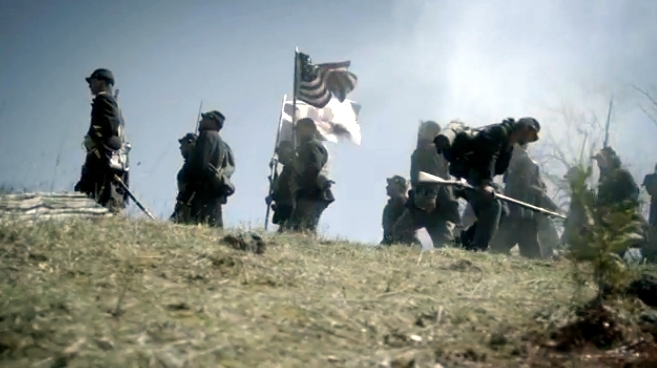 Now on Discovery Education's Techbook, students can access immersive experiences and watch U.S. soldiers on the battlefield during the American Civil War. Although Discovery Education is known for hosting virtual field trips, the company has now begun to build virtual reality (VR) experiences into its digital content. Recently, the company announced the addition of three new VR components to its social studies products. Both Discovery Education Streaming Plus and Techbook will use content from a new, six-part American Heroes Channel series, "Blood and Fury: America's Civil War" to enable students to explore Civil War themes through the eyes of soldiers. In "Desertion," students will learn why soldiers deserted before they reached the battle and what could happen to them when they abandoned their posts. "Bridges" explores how geography defined the course of the Civil War. Specifically, the VR experience will use the Rappahannock River in Virginia, which created a natural barrier for the Union Army, to learn how the armies adapted their weaponry to overcome the dangers they faced. Although many people imagine most battles that took place in the Civil War as being fought in open fields and enclosed woodlands, some key battles also took place in towns. "Urban Warfare" takes students through that experience to illustrate the impact battle locations made on the outcome of the war. "Virtual reality content offers students an unparalleled opportunity to engage with a topic and immerse themselves in learning," said Ann Clermont, a sixth grade literacy and social studies teacher at the Green Bay Area Public School District's Red Smith School in Wisconsin, in a prepared statement. "When integrated thoughtfully into instruction, these resources enrich lessons by adding perspective to the geography, politics and psychology of the Civil War."